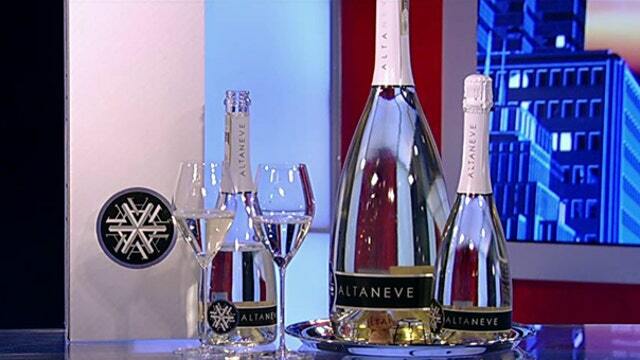 Altaneve Italian Sparkling Wine owner David Noto on the growing popularity of prosecco. The demand for Italian bubbles is soaring, with record sales of fizz in both the U.S. and UK. Prosecco, the fruity sparkling wine made in the northeastern hills of Italy, has become the best-selling sparkling wine in the world by volume, surpassing French-made Champagne which dominated the list for years. While Champagne still holds the revenue crown, exports of the Italian wine are higher than ever before, with more than 70 percent of bottles now being exported. What’s more, according to analysis by Coldiretti, the overall value of Italy’s sparkling wine exports has jumped by 13 percent this year, with record sales abroad valued at $1.5 billion. Adding insult to injury, according to the Associated Press, sales are even surging in France, Champagne’s home country. One of the big reasons for the uptick is price. According to AP’s figures, the average production cost of Prosecco is around $4.20 per bottle, a fraction of Champagne’s $11.63 average. Prosecco’s lower price point is due in part by its simpler production method. It has two processes of fermentation (both performed in large tanks), whereas Champagne’s second fermentation is done while the wine is bottled. That process requires Champagne to be stored at an angle and turned by hand to help the fermentation along—which is costly. Three of the biggest players in Italian sparkling wine, according to Coldiretti are Prosecco, Asti and Franciacorta and its biggest selling market is the UK which produced a five percent sales increase in 2018. The United States came in second with a 12 percent jump in sales, while Germany came in third, with an increase of six percent. But Champagne is far from fizzling, last year it exported 307 million bottles of booze, generating more than $3.1 billion in revenue.